From time to time in The Journal, we explore the origins and stories around famous pearls and items of pearl jewellery. In this article, we continue to share our fascination for this most stunning of gemstones, with the extraordinary Hope Pearl. Believed at the time to be the largest natural saltwater pearl ever discovered, the Hope Pearl was named after its owner Henry Philip Hope. 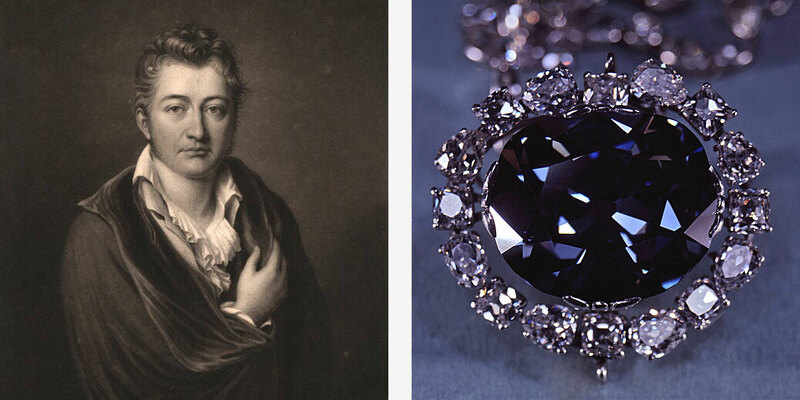 Hope (1774-1839) was an Anglo-Dutch gem collector, who acquired many renowned gemstones and diamonds for his collection, including the famous blue Hope Diamond and approximately 148 natural pearls of significant size. The Hope Pearl was one of Henry Philip Hope’s first acquisitions as he set about building his collection of gems and jewellery. 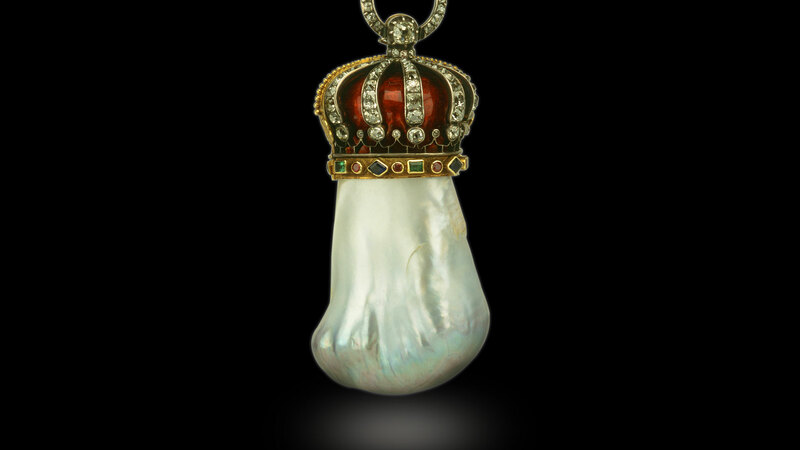 The Hope Pearl was believed to have been possibly acquired by Tavernier and sold to King Louis XIV in 1669, before being subsequently sold to Hope, around 1795. The pearl was included in a catalogue of his collection that was published by Bram Hertz in 1839, the year that Henry Philip Hope died. Its exact origin is unknown, but it is likely, given the period when it was discovered, that the Hope Pearl was an ‘oriental’ pearl. It was perhaps found in the Persian Gulf, the Red Sea or the Gulf of Mannar between India and Sri Lanka, which were the traditional centres of the pearl fishing industry for over 4,000 years. Weighing around 1,800 grains (or 450 carats), the Hope Pearl is a blister pearl. The pearl would have formed on the inner surface of the mollusk's shell. This location is still visible on the surface of the gem, although it has been polished to resemble other parts of the pearl’s surface. It is its size and cylindrical drop shape that makes this pearl so unusual. Natural blister pearls are thought to form as pearls within the mollusk's mantle tissue, before breaking free and being pressed into the shell. Cultured blister pearls today are usually hemispherical, with a layer of mother of pearl being used to create the flat back of a mabe pearl. Measuring approximately two inches by four inches, and ranging in colour from greenish-gold on one end to white on the other, the Hope Pearl contributed significantly to an explosion of interest in baroque pearls and baroque pearl jewellery in the late 16th to 17th centuries. The popularity of baroque pearls stemmed from their unique qualities of shape and colour, with master jewellers creating extraordinary gems in forms that the pearls themselves suggested. The Swan Pendant, now at the Hermitage State Museum in St Petersburg, and The Canning Jewel, part of the Victoria & Albert Collection, are two of the most famous examples. Hope had the pearl mounted in a pendant setting in the shape of a crown, and featuring rubies and diamonds. 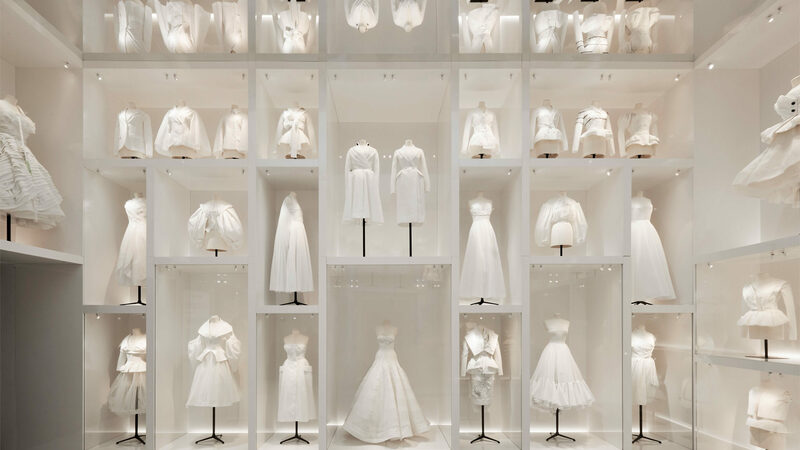 Now in private ownership, the Hope Pearl has been exhibited internationally including at the Natural History Museum in London and the Smithsonian in New York.